Happy Monday! 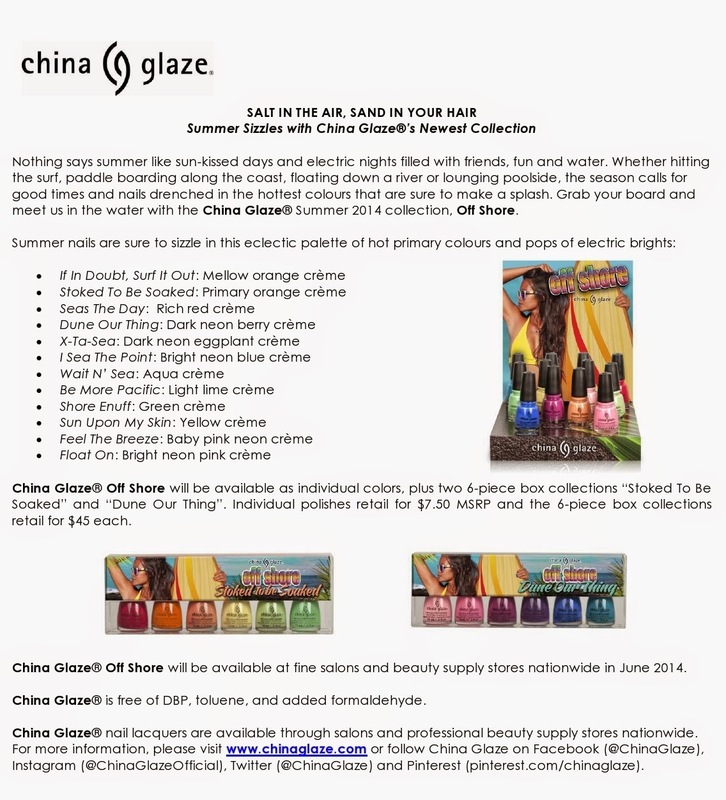 to start out the week i have a press release from China Glaze on their new Off Shore collection :) i'm excited to see I Sea The Point in person, blues are my faves and this one looks AMAZING. all of these colors definitely scream summer to me, yummy!